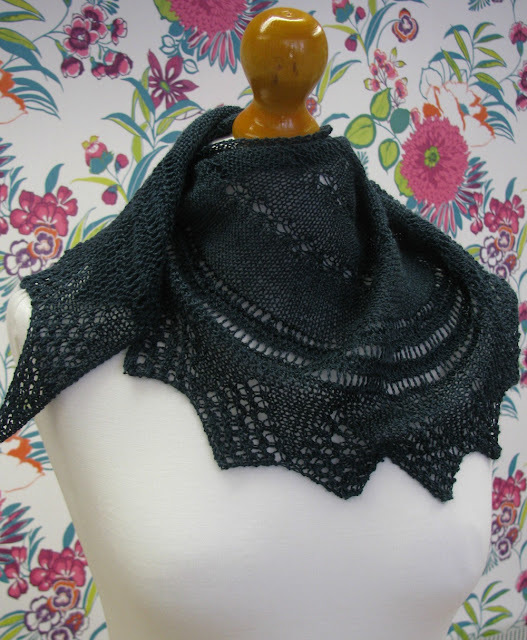 Pear Drop by Lorna in Scrumptious Lace, shade Wine Gum. The pattern is from Ysolda Teague's Saturday Treat. Its a delicate semi-circular shawl available in two sizes - 122cm long x 41cm wide for the small one and 157cm long x 55cm for the larger size. Lorna's one is the smaller size.